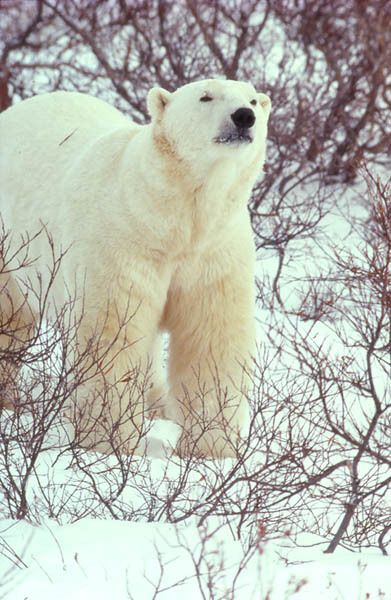 Hunting - finally being regulated by the five polar bear countries (Canada, Denmark, Norway, United States and Russia). Toxic Chemicals - mercury, PCB's, DDT. Pollution - oil spills and garbage, old tires, styrofoam, plastic, parts of car batteries are eaten by bears. Radio-active Material - disposed of in the sea. Global Warming - has reduced the ice season. The bears have fewer days to hunt for seals and fewer bear cubs are surviving. Jacques Cousteau said "The sea is a universal sewer."